It’s Sunday Morning, you’ve been up for two hours getting yourself and your children up, fed, and dressed for church. As you go about your morning routine, you hear one of your children complaining about having to be up early. It’s the weekend after all, they want to sleep in while they have the opportunity. Another child wanted to spend the night at a friend’s house the night before, but you knew that they wouldn’t attend Church for Sunday School or Children’s ministry if they did so. Your children aren’t happy with you and are throwing a fit. You have two options, you can either take them to a Holy Spirit filled Apostolic Church service or leave them at home to cease their complaining. What do you do? Should children be made to go to Church even if they don’t want to go? The answer, in short, is yes. Children don’t always want to go to school either, but most parents would agree that making them go is still the thing to do. Why? Because parents want their children to learn, grow, and mature. By making your children go to school despite their protests, parents are pushing them to achieve more. They are also being taught the important lesson that not everything in life is 100% fun. However, like school, Pentecostal Churches San Antonio TX offers a unique blend of fun and growth. Church is an opportunity for your children to grow socially, spiritually, and scholastically while having fun and enjoying themselves. When you take your children to Full Gospel Churches San Antonio Texas, they are joined with other children and families that share similar interests and desires. Odds are, your children are not the only ones that have issues with going early in the morning. But, once your children and the others arrive, they are placed into an environment with plenty of friends to socialize with. They are often presented with time to play and talking, getting the necessary socialization that they crave and that is essential to growth. Unbeknownst to them, they are also developing healthy relationships within a network of Christian believers. Friends made at United Pentecostal Churches San Antonio TX area share some of the same beliefs and lifestyles as your children and can therefore be a more positive influence on their lives. It starts with small opportunities to socialize, but as the children grow up together, the foundation between themselves and the Lord will grow stronger as well. When presented later in life and in school with the opportunity to either follow the crowd or do what they know to be right, the friends made by going to a Full Gospel Spirit Filled Pentecostal Church San Antonio will help keep them grounded and directed towards the Lord. Bible believing, Jesus loving, local Community Church is the best place for your children to learn more about the Lord Jesus Christ and what His sacrifice means to their lives. Even at an age as young as three, when they are beginning to learn about the world in earnest, the message of Jesus is something that they can not only learn and comprehend but be enriched by. When you, as a parent, take your children to Church, you are instilling that message within the very foundation of their being. Smaller children especially, are still figuring out the majority of who they are and where their interests lie. By exposing them to the love of Jesus, by simply giving them the opportunity to hear His teachings, you are solidifying their moral and spiritual foundation to support them the rest of their lives. So, when they grow into adolescence and eventually into adults themselves, they can rely on the knowledge and faith that you helped instill in them when they were children. From the moment when all people are born, there is a hole in their life that can only be filled by Jesus Christ. It is never too early to start exposing them to the “Living Water” that Jesus provides. The Church, Sunday School in particular, is a phenomenal setting for children to learn and grow scholastically as well. On an average Sunday morning, children are exposed to reading, writing, arts and crafts, and proper communicative skills. They are challenged to think critically, reading scripture and analyzing it in a way that is applicable to them. These are skills that aren’t often touched upon sincerely until the third and fourth grades. So, by bringing your children to Sunday school and Children’s Church, you are also giving them a stepping stone ahead of what the average child would receive without Children’s Church or kids Sunday School San Antonio TX They are being pushed to read scriptures, to commit many to memory, and to apply what those scriptures teach them to their everyday lives. There is no end to the applications of what can be learned in a Sunday School classrooms. 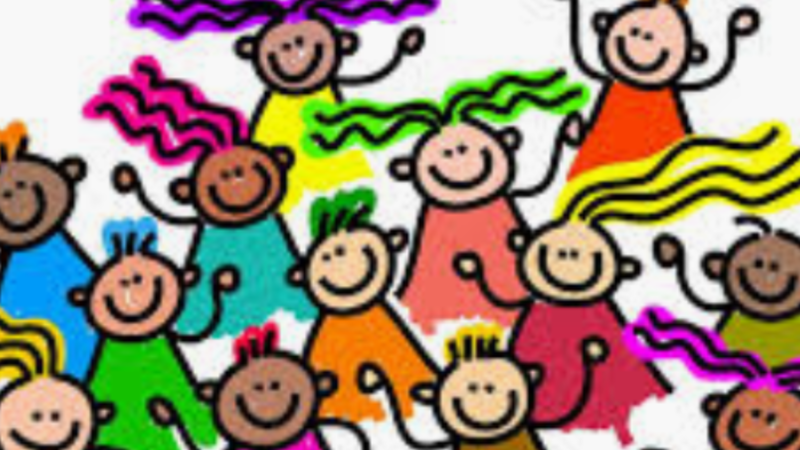 When you bring your children to Church, you are setting them up for scholastic and career success by challenging them in a unique, fun, and interesting way. When you bring your children to Sunday School, you are doing what is best for them. It is as simple as that. Not everything that helps us to grow and achieve is the most fun thing in the moment, but in the long run it has the best payoff. It is true that Church might not always be fun, and there may be more fun alternatives for your child. Sometimes the lessons are hard to grasp, but that does not diminish their importance in the life of a growing child. Remember, Full Gospel Pentecostal Church San Antonio area brings them together to socialize, to be challenged academically, and to grow spiritually in their walk with the Lord Jesus. If you are seeking a place where your children can grow in the three ways listed above, then we encourage you to join Pentecostal Life Church. Here, both you and your children can find a positive space to grow, to learn, and to enjoy yourselves in the company of a Bible believing Holy Spirit filled setting. Pentecostal Life Church is located in the San Antonio suburb called Schertz TX. Schertz Texas is claimed by three Texas counties, they are Comal County Texas, Bexar County Texas, Guadalupe County Texas. Schertz also is connected to Cibolo Texas, Universal City Texas, New Braunfels Texas, Converse Texas, Garden Ridge Texas, Selma Texas, San Antonio Texas. Pentecostal Life Church also has members from San Antonio suburbs like Live Oak Texas and Windcrest Texas. If you would like your family exposed to a Spirit Filled Pentecostal Churches then prayerfully consider coming to Pentecostal Life Church. Pentecostal Life Church is affiliated with the United Pentecostal Church International ( UPCI ). 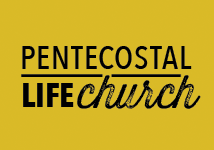 If you have wondered where is a Pentecostal Church near me, Pentecostal Life Church is a Holy Spirit filled Pentecostal Church near you. Pentecostal Life Church is a UPCI Church near me. Service times are Sunday 10:30 am & Thursday 7 pm.